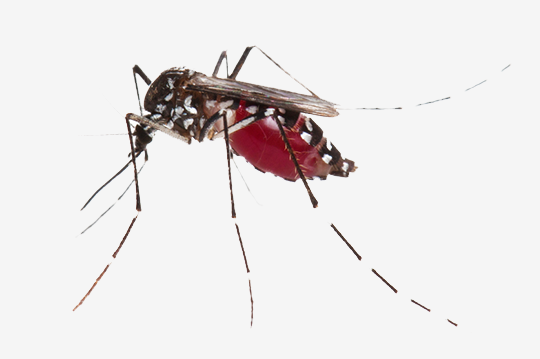 Mosquito Control Roswell, GA | Bug-Off Exterminators, Inc. Customer satisfaction is always our priority. All of our pest control technicians are registered professionals. The technician will explain the extermination process and identify the problem areas while offering you a practical solution. 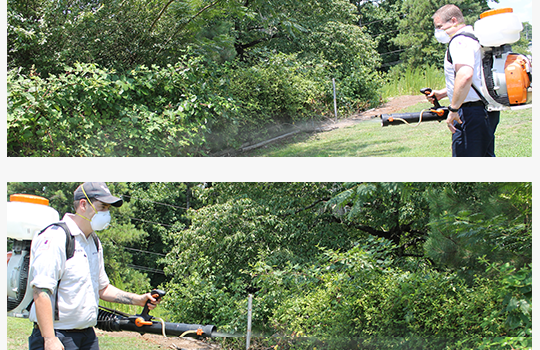 Our technicians perform mosquito control services on a regular basis at commercial and residential properties in Roswell, Georgia. All of our technicians have years of experience in mosquito control and we always use the most effective products. Our technicians know how often the products should be applied to the treatment area. One size fits all is not always the best solution, so we will create a customized solution for your residential and commercial property. At Bug-Off Exterminators, our technicians use a residual that remains effective for several weeks. Summer is meant for outdoor activities, cookouts and celebrations. The days are longer and warmer. Unfortunately, the hot weather can attract unwanted pests to your home or commercial property. Mosquitos breed in the summer, and they are an annoyance. If you do not want to deal with mosquito bites, you should make the area too harsh for mosquitos. You can wear long sleeves and remove standing water, but you still need to contact a professional mosquito control company. A professional mosquito control company can help you determine the best course of action. Mosquitos breed near lakes, ponds, creeks and potted plants. Mosquitos breed quickly, and a swarm of mosquitoes can be annoying. Installing mosquito traps provides a controlled breeding area that will prevent the eggs and larvae from developing into adult mosquitoes. Since mosquitoes can live near vegetation, shrubs should be trimmed on a regular basis. Our technicians have access to professional equipment and industry leading products. After the evaluation, our technicians will use tools and products that are suitable for your home or commercial property. The technician will use a leaf blower backpack. He will spray the bushes and the shrubbery but the residual will not harm the plants. The technician will apply insecticide to the shaded areas including the shade trees. The residual spray will breakdown in rainy weather, so the mosquito control service should be performed on a monthly basis. The technician can also use larvicides in areas that have mosquito larva. For more information on our mosquito control services give us a call. When you contact us, you can schedule an appointment with an experienced technician. A friendly customer representative will make sure that your pest control problem is handled in a timely manner. After the initial treatment service, you can schedule routine pest control services. © Bug-Off Exterminators, Inc. All rights reserved.